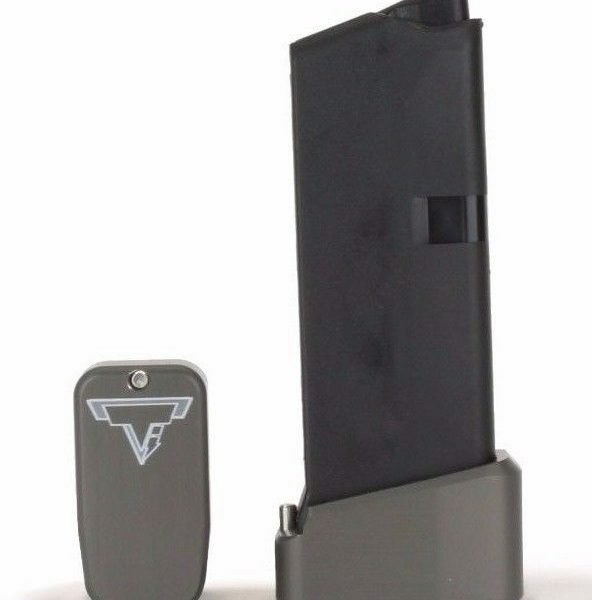 Taran Tactical Base Pad for GLOCK (Small) +3/+4 Firepower Base Pad Kit for GLOCK. – Will work on all full size double stacked GLOCKs. 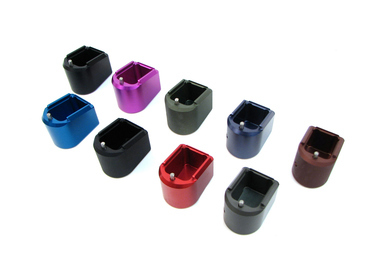 – Patented proven push pin design. – Super easy to attach and detach from the magazine. – No specialty tools or devices required to disassemble. – One piece design, no extra parts to possibly lose during disassembly. – Fits the USPSA 140mm gauge. 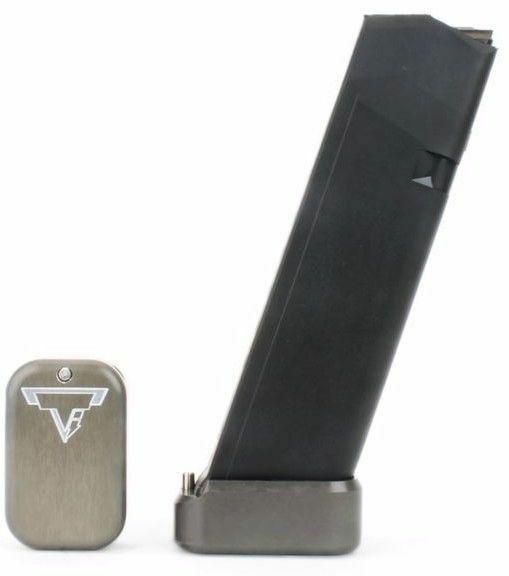 – Works only on high-cap double stacked GLOCK OEM magazines. – Holds 18+1 rounds of 40S&W. – Holds 21+1 rounds of 9mm. – The added weight helps the magazine drop free easily for faster reloads. – Used and endorsed by World and National Champions Bob Vogel, the GLOCK Shooting Team, Randi Rogers, Allie Barrett, and of course Taran Butler. 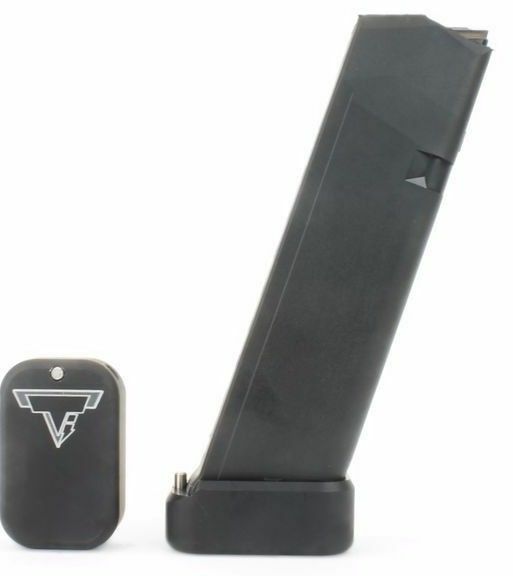 The Taran Tactical Base Pad for GLOCK (Small) +3/+4 works on GLOCK models 17/17L/22/24/34/35. 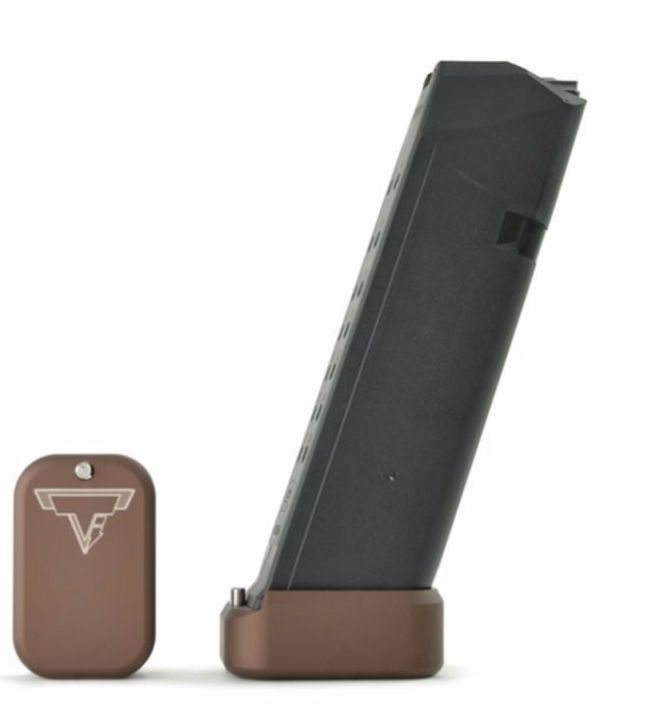 This base pad will add 4 extra rounds in 9mm and 3 extra rounds in 40 Caliber to the magazine. This base pad does add a little extra weight to the magazine which helps the empty mag drop free easier for faster reloads. 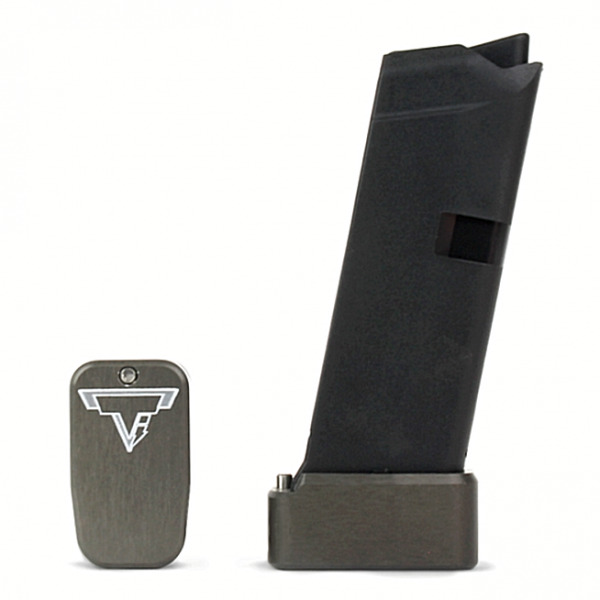 This TTI GLOCK base pad, just like all of our base pads, is designed to give you the edge over your adversaries. We use our patented push pin design to lock the base pad to the magazine, which makes for easy field stripping and cleaning your magazines between stages. Just push down the pin, slide the base pad onto the magazine and push the pin up to lock the base pad onto the magazine. Our one-piece design is great because there are no extra parts or tools needed to attach the base pad to your magazine. 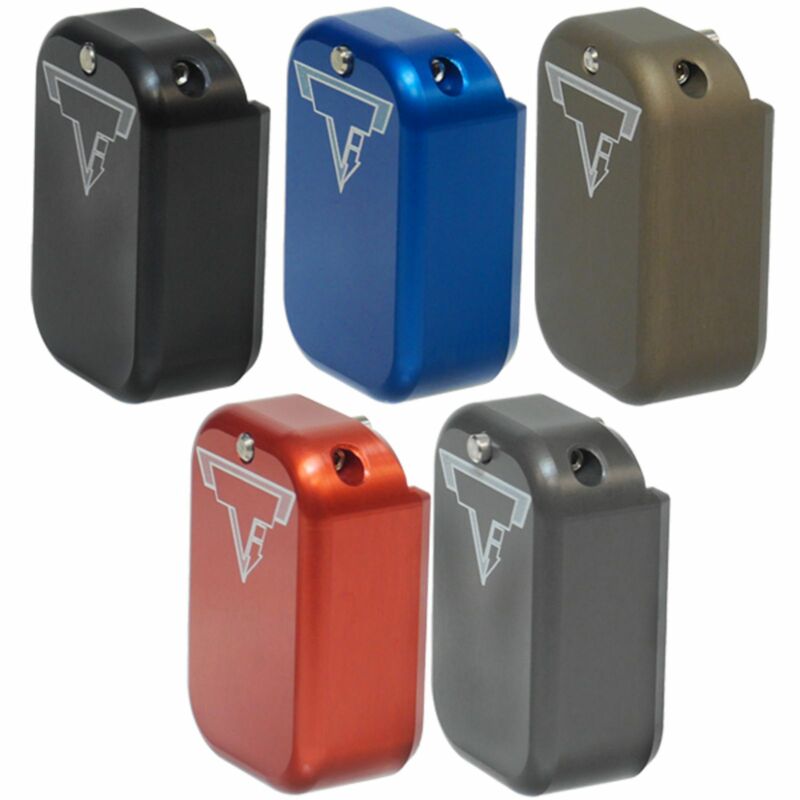 The base pad itself is machined out of billet aluminum and is hard anodized to ensure durable long lasting color. All machining and manufacturing is done in the USA. Q: Why can I not purchase Taran Tactical Innovations, LLC base pads if I live in California?